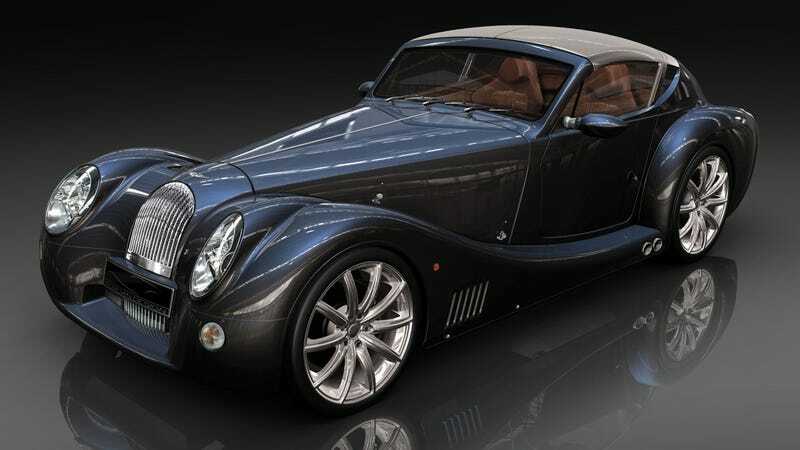 Morgan Motor Company may be steeped in the dusky liquors of the old world, but it's been making moves toward next-level thinking. Take the company's hydrogen fuel cell LifeCar project, and now its all-electric +E program. Part Caterham, part Nissan Leaf? An all-electric English roadster with a manual transmission, you ask? No, it is not a plot point from the new movie, Landed Gentry and Aliens. It's a new partnership between Morgan and a consortium of technologists including Zytek, a firm that created, among other electric drivetrain bits, one of the KERS systems used in Formula One. Project engineers say the use of a manual transmission will increase the vehicle's range by keeping the motor in its efficiency "sweet spot" and allow the use of lower gearing for quicker acceleration and higher gearing for top speed. We'd imagine this "good old" approach is also easier than writing a bunch of controller software to extract the same outcomes from the motor. The project is naturally getting some help from the e-powers that be, namely a niche vehicle program managed by CENEX, a UK-based public-private partnership that supports initiatives to further the cause of lower-carbon vehicles.